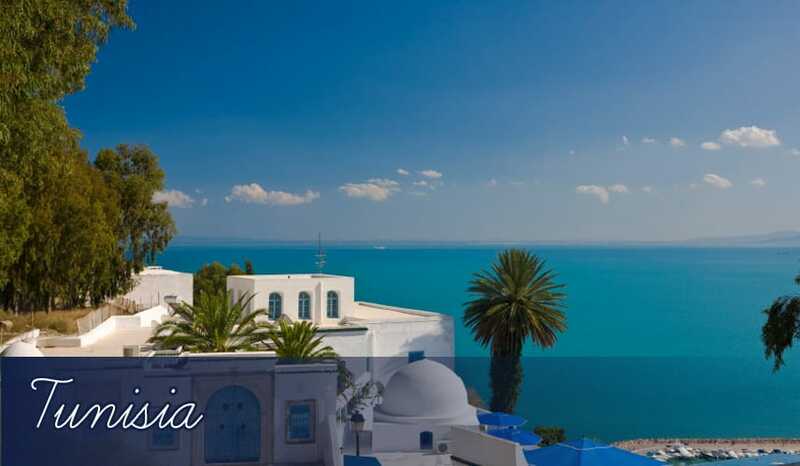 The true Tunisia: Mahdia holidays 2019 are perfect for tourists who wish to experience the real Tunisia. Mahdia was actually claimed as the capital from 921 and its importance can still be seen today in the ancient Great Mosque and the many fascinating finds exhibited in the local archaeological museum. Relaxing holidays: Although the old town remains relatively unchanged, Mahdia holidays have undergone something of a renovation along the coastline. There are now many modern, all inclusive hotels to choose from, most with their own private section of sandy beach which you can enjoy on all inclusive holidays here. The Black Passage: Also known as Skifa el-Kahla, this underground passage was the only way into Mahdia when it was first established. As you can imagine, this served as a rather strong defence for Mahdia, as the only way to enter it was underground! Today, you’ll see on your holidays to Mahdia that it is now instead used as a market centre or ‘souk’, with Friday being the busiest day and offering the greatest variety of stalls. The Great Mosque: As many of the original structures of Mahdia are still intact, it’s possible to see how important Mahdia once was to Tunisia. Nowhere is this clearer than at the Great Mosque. Although it was initially built in 921 at the creation of the town, the mosque was damaged in the Moorish wars with the Spanish. Luckily, this beautiful mosque with Roman-style archways was rebuilt in the 1960s to match the original plans, so you can now see it in its fully glory on your holidays to Mahdia. Borj el-Kebir: This high walled sandstone fortress was originally built in 1595, although some parts were restructured in the 18th century. There’s not much to see actually inside the fortress, but it’s worth your time to climb to the top of the tower, as you can enjoy an incredible view of Mahdia and the Mediterranean Sea. Archaeological Museum: It’s fitting that Mahdia holidays should feature an archaeological museum as Mahdia has seen many civilisations pass through it, leaving fascinating artefacts as they go. The museum displays items from the Christian and Islamic eras, as well as from the ancient Punic and Roman occupations. Wild water sports: The beaches in Mahdia are pretty popular with tourists on their holidays here, and it’s also where you’ll find all the action when it comes to water sports. There are some stunning dive sites just off the Cap d’Afrique (the cap of Africa at the tip of Mahdia bay), plus some people come here specifically for windsurfing holidays. Desert drives: Being close to the Sahara Desert, there’s also plenty of opportunity on Mahdia holidays for excursions to sand dune drives and high-octane 4x4 jeep races. It makes for a really exciting experience which you can only really enjoy in a country like Tunisia or Egypt that are close to a desert! Mahdia Beach: This beach in Mahdia is also located along the popular coastline around the Gulf of Hammamet. You’ll see that most of the tourist hotels are dotted along here too, with many of the all inclusive hotels offering their own private stretch of beach. The sand on beach holidays to Tunisia is famed for its super fine, soft quality, and that’s certainly the case in Mahdia. Being such a popular beach there are lots of water sports available on holidays here, and there’s lots of hustle and bustle along the shoreline where you’ll see fruit sellers and camels being paraded for fun rides for children on family holidays in Mahdia. Neptune: 70% of the fish eaten in Tunisia is caught in Mahdia, so you can imagine that the seafood restaurants are pretty good on holidays here! Neptune is a great example, especially as it’s actually located on a floating Spanish–style galleon in a harbour! Enjoy lots of different fresh fish dishes in truly unique surroundings, all adding up to a real treat during your holidays in Mahdia. Le Lido: Also around the port area, Le Lido is another fantastic fish restaurant you can discover on holidays to Mahdia. They serve delicious meals like fried octopus, grilled swordfish and battered king prawns. Cafe La Medina: For an authentic Tunisian lunch sipping mint tea or even partaking a smoke of the (fruity flavoured) shisha, you’d do well to head to this beautifully styled cafe. It’s located just across the road from the grand mosque. Prices are pretty cheap too, making it a great choice if you want to save money on cheap holidays to Mahdia. Hotel drinks: Tunisia is an Islamic country, and whilst the rules are certainly relaxed for tourists on their holidays regarding drinking alcohol, you still won’t find many independent bars here as many local people prefer not to sell alcoholic drinks in their premises. That’s not too much of a problem though, as the hotels that offer all inclusive holidays here are more than happy to serve alcohol and provide evening entertainment too. So generally, once it starts getting late you’ll be best off spending the evenings of your holidays relaxing in your hotel, whilst sipping a cool cocktail under the starry Tunisian sky. All inclusive hotels in the area allow entry to non-guests too, so you can visit the lively nightclub at Hotel Thapsus or the intricately designed bar at Hotel Tryp all without restriction during your holidays in Mahdia. Mahdia markets: Like many resorts on Tunisia holidays, Mahdia has its own medina – a walled area specially dedicated to a vibrant variety of stalls and street traders selling their wares. It’s possible to pick up some truly unique items on your holidays here, like expertly blended oil perfumes, ornate metal ornaments, and beautifully tailored carpets. Be warned though, you are expected to barter to get the best price. But if you’re prepared to haggle it’s quite likely you’ll be able to bag yourself some bargains, making cheap holidays to Mahdia a real possibility. Unique handicrafts: And it’s not all about stalls and markets on holidays to Mahdia either, as there are a number of fantastical shops which have their stock piled high with all sorts of bric-a-brac, ornaments and antiques.